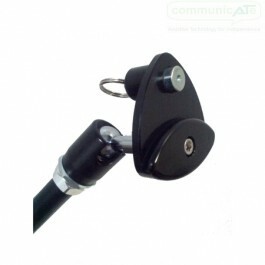 The DAESSY to Manfrotto Quick Release Base connects camera threaded mounting arms to DAESSY Device Adapters and Plates. It is a small face genuine DAESSY Quick Release Base with a hole in it's middle and comes with a bolt to attach it to the end of the Manfrotto mounting arms. Once connected, any devices under 2.5kg that has an attached DAESSY mount plate can be mounted with the Manfrotto mounting arm.